Ok, so I’ve been in the biggest reading slump and ditched everything book related – blogging, goodreads etc. Ughhh send help! Posted on June 14, 2015 by manyreads	This entry was posted in Uncategorized. Bookmark the permalink. Sounds good! 😀 It looks great. We Were Liars is incredible. The ending is jaw dropping! I hope you enjoy it. I haven’t read A Court of Thorns and Roses or Ready Player One yet but they both look like five star reads. I haven’t read the other two but We Were Liars is a great read! I haven’t read Ready player one but ACOTAR and We were Liars were both Amazing. And you have a signed copy! 😀 That’s so cool. I envy you girl! That’s great! Glad you enjoyed them 🙂 ikr?! It’s actually my first signed book haha, so that’s pretty awesome!!! 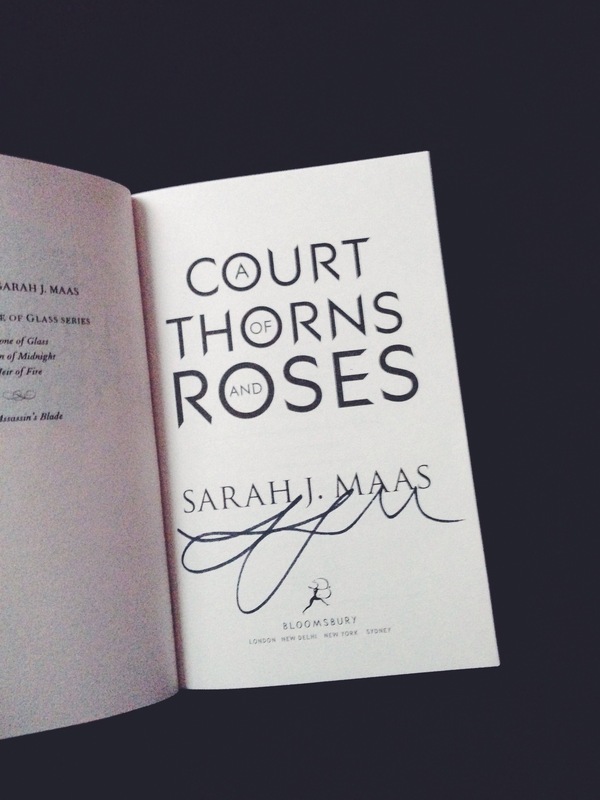 READ A COURT OF THORNS AND ROSES! 💖 and you are so lucky to have it signed, ugh I’m honestly jealous. Ready Player One is a book I’m so desperately wanting to read! I hope you enjoy it as much as I know many people have. I still can’t believe it’s signed!🎉Definitely going to read it asap! Do you think I should read the ToG trilogy first or ACOTAR?? I’m definitely leaning towards A Court of Thorns and Roses☺️ I’ve also heard only great things about Ready Player One, my expectations are really high for this book and I’m so glad I’ve finally got it. It’s such a relief since it’s a book I’ve been wanting to purchase for a while which is understandable since the hype that surrounds it is crazy!! 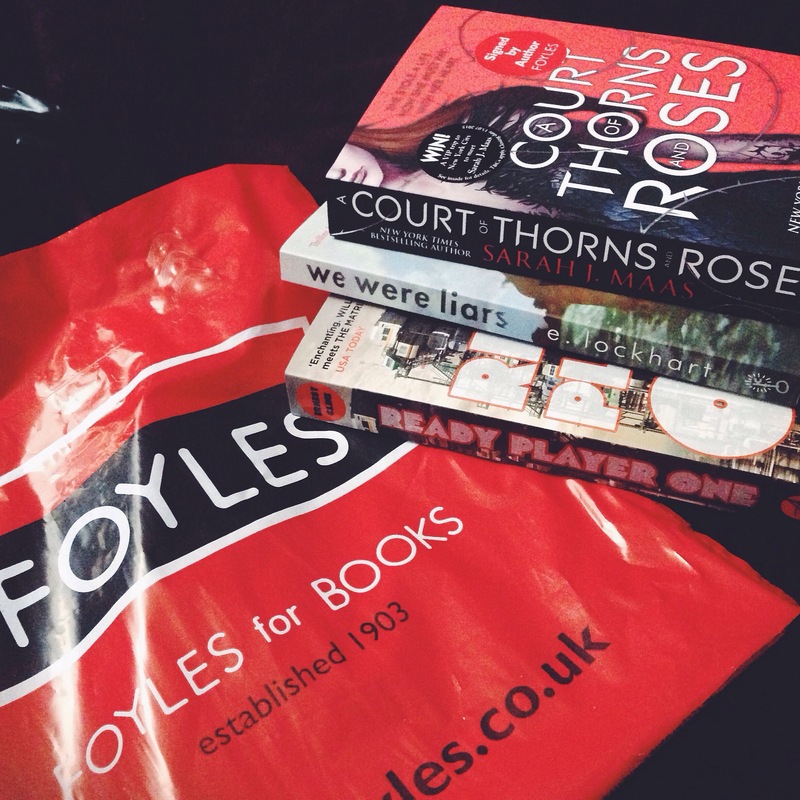 I think you should definitely go with A Court of Thorns and Roses first however they are quite different books! But definitely ACOTAR first before you read Throne of Glass and fall in love with the story (you’ll be motivated to marathon the entire series)! Ikr?! So glad you loved it, can’t wait to read it 🙂 thanks!